There is a Japanese phrase that says “fall is the best season for eating” (食欲の秋; shokuyoku no aki). When fall arrives in Japan with all of its beautiful red and yellow colours, so do all of the delicious drinks and desserts. We have compiled a list of 6 that we want to recommend to our readers. 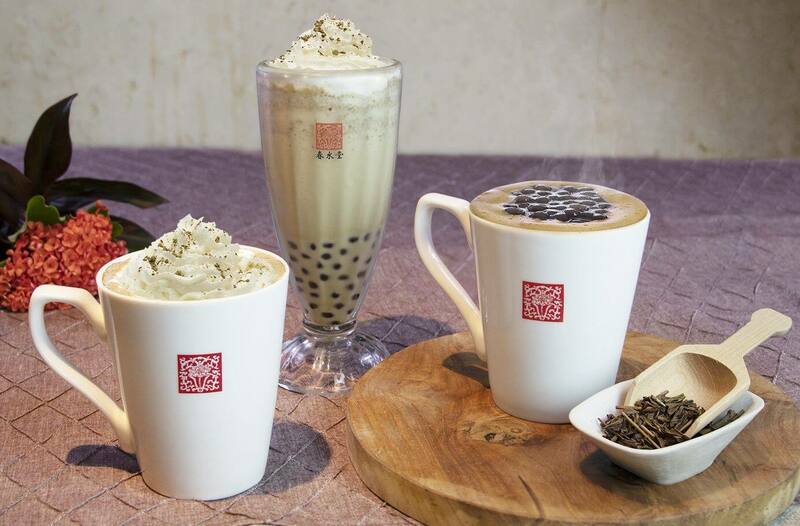 Taiwanese cafe Chun Sui Tang released their new original Japanese-style Tapioca Hōjicha Milk Tea on September 26. Hōjicha, a type of Japanese green tea that involves roasting the tea leaves in a specific way, is fused with tapioca milk tea. The new creation introduces a new way to enjoy flavours. As the tea leaves are sourced from Shizuoka, all the raw ingredients are free from additives and are 100% national produce. A master tea specialist carefully roasts the tea leaves using a far infrared roaster and continues the process until the stem is reached. At this point, the tea is turned into a fine powder and a wonderful aroma drifts through the air. The texture of the chewy tapioca combined with the mildly bitter Hōjicha milk and fluffy cream makes for a great combination. Enjoy a wonderful Japanese-style original tapioca drink which makes for a great dessert! Available this Autumn only! Pie Holic is a Japanese pie shop that specialises in making Californian style pies. They are now selling four new Japanese-style desserts this autumn only at their Roppongi and Yokohama branches. 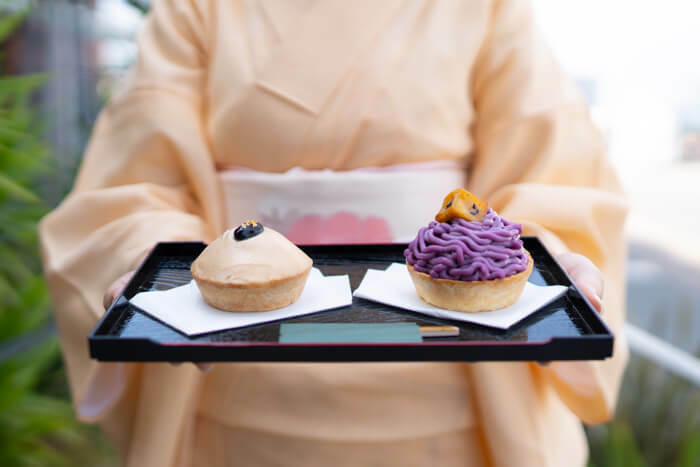 The list includes the crunchy Doraimo Pie on top of which sits a fluffy dorayaki topped with a light whipped cream and rich, naturally sweet purple sweet potato cream. There’s also the Soybean Mochi Pie, a luxurious dessert filled with chewy warabimochi. 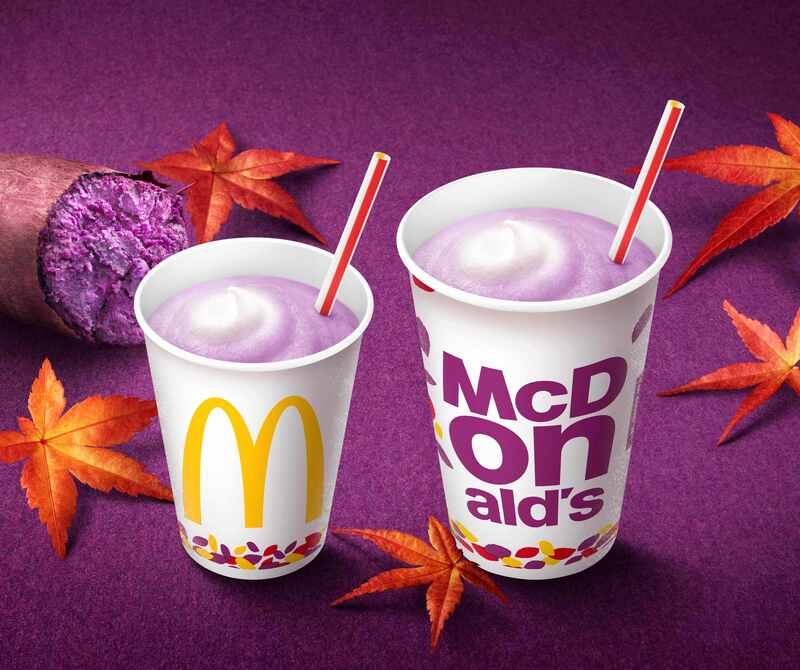 McDonald’s Japan is currently selling its recently-released Purple Sweet Potato McShake for a limited time only. The drink retains the characteristic and familiar creamy texture of the classic McShake but combines it with purple sweet potatoes and regular sweet potatoes to create the perfect beverage for the autumn season. 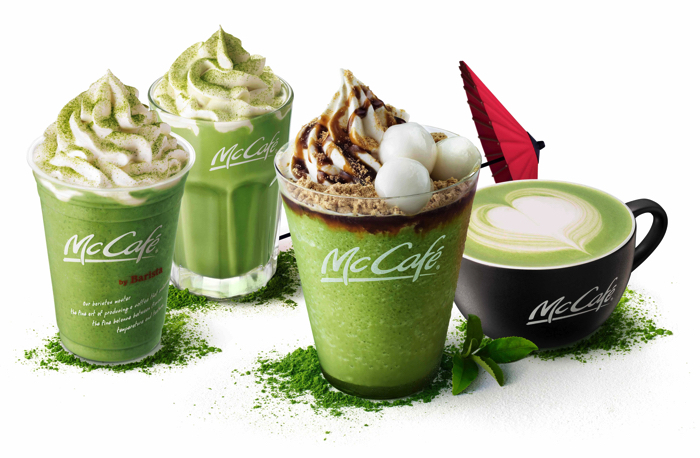 McDonald’s Japan is currently selling four matcha beverages at its McCafé by Barista chain for a limited period. 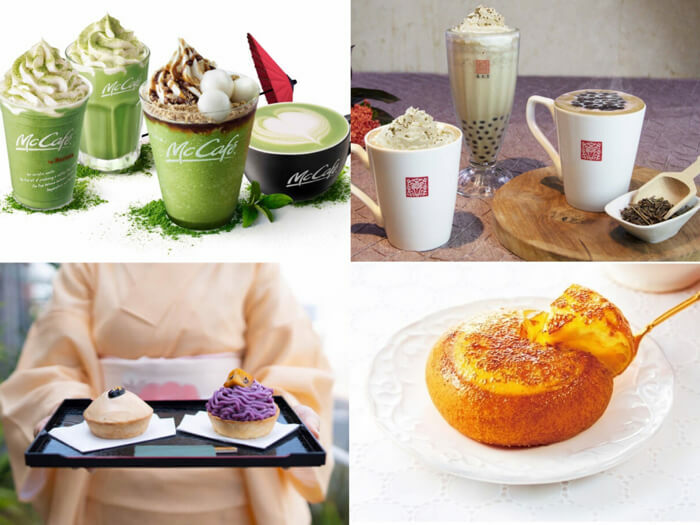 The drinks include the Brown Sugar Syrup & Soybean Flour Matcha Frappe, Matcha Latte Frappe, Iced Matcha Latte and Matcha Latte. This year they have put in even more matcha powder sourced in Uji in each of the drinks to make the matcha flavour even richer! 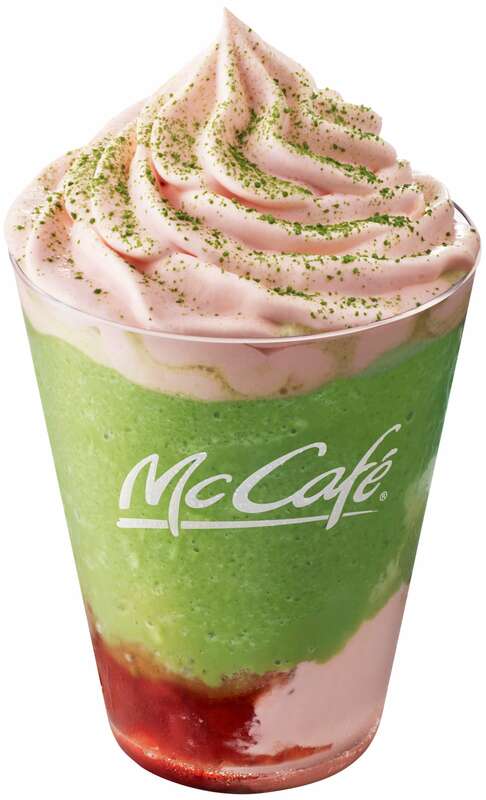 This beverage is an addition the McDonald’s matcha series above, this time opting for a more western-style flavour by adding strawberries. It’s a luxurious combination of the full-bodied flavour of matcha together with sweet and sour strawberries. It includes both a strawberry paste made from whole strawberries and a strawberry whipped cream at the bottom. Sitting on top of these is a matcha latte frappe which uses slightly bitter Uji matcha from Kyoto and delicious milk farmed in Japan. Crowning the drink is more strawberry whipped cream and sprinkling of matcha powder. 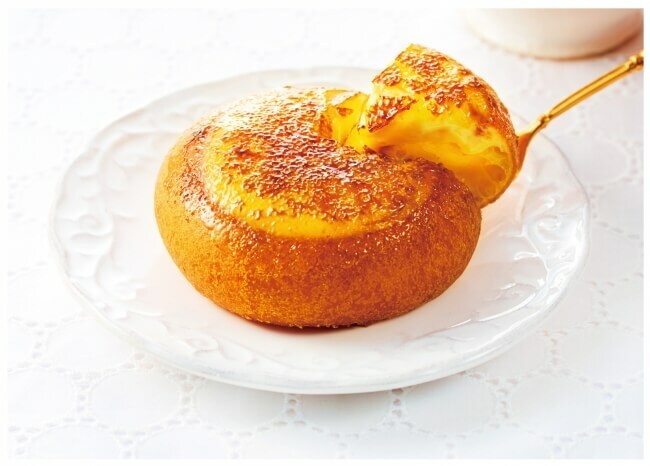 Mister Donut in Japan is now selling three different types of crème brûlée doughnuts. As the name suggests, it’s the popular crème brûlée turned into a doughnut. The doughnut is made with burnt cream, sprinkled with caramelised sugar and filled with custard cream before being scorched on top with a gas burner. Make sure to try all the goodies available in Japan during autumn!